In Ohio, early in-person voting at the state's 88 boards of election began at 8 a.m. Tuesday. The times for early voting at Ohio elections boards between now and May 7 can be found here. 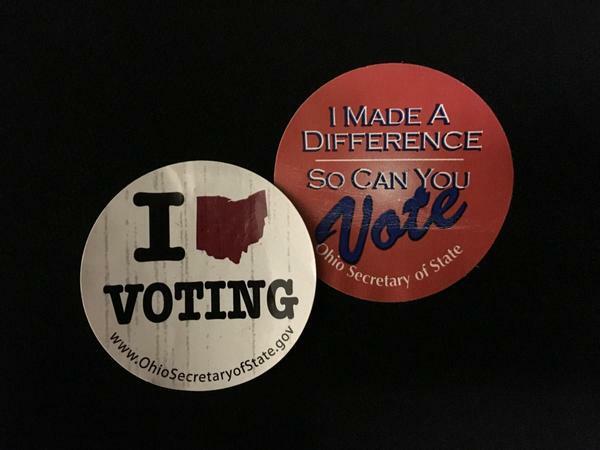 Registered voters can download and mail in absentee ballot applications at board of elections websites or at the Ohio Secretary of State's website, MyOhioVote.com. Election officials began mailing out absentee ballots to Ohio voters Tuesday. Leading the ballot in Ohio are the contested Democratic and Republican primaries for Ohio governor. On the Democratic side, the candidates are Richard Cordray, Dennis Kucinich, Bill O'Neill, Joe Schiavoni, Larry Ealy and Paul Ray. Two candidates are battling in the contested GOP primary – Mike DeWine and Mary Taylor. Early in-person voting also began today in Indiana, where a Republican primary for a U.S. Senate seat tops the ballot. Three Republicans are vying to challenge Democratic incumbent Joe Donnelly in the fall. Tuesday is the first day Hoosier voters can cast early ballots at the county election board and satellite offices. In Indiana, voters can also cast absentee ballots by mail, but only under certain circumstances. You can find a complete list of the rules on absentee voting by mail in Indiana here.